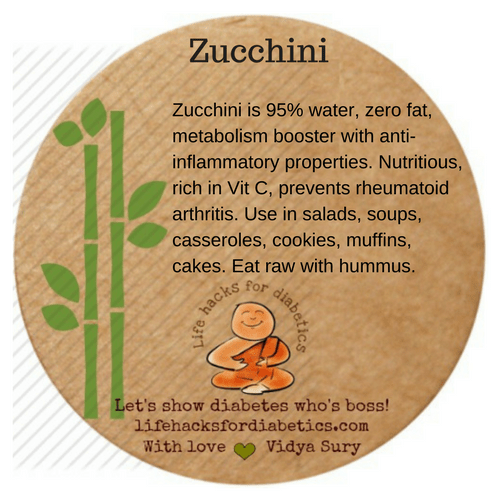 Zucchini is 95% water, zero fat, metabolism booster with anti-inflammatory properties. Nutritious, rich in Vit C, prevents rheumatoid arthritis. Use in salads, soups, casseroles, cookies, muffins, cakes. Eat raw with hummus.